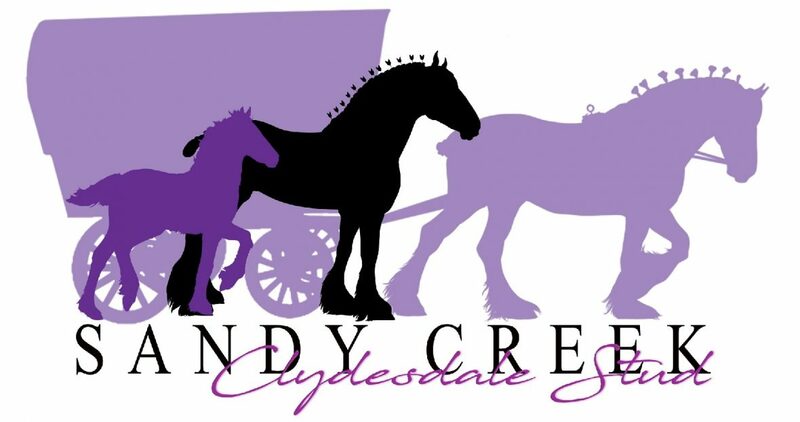 Sandy Creek Clydesdales Stud is a family owned and operated business in the historic town of Maldon Victoria. It is here where we Matthew & Jaimie showcase our true passion and breed registered Clydesdales. With a strict breeding regime we aim to breed quality horses not only in regards to confirmation but also temperament. We extend from that by offering our horses a safe environment under Matthews experienced harness training guidance and Jaimies extensive riding career; breaking and retraining, making sure that we equip them with the knowledge and experience to be safe and enjoyable for their owners. To add to this we also hire out our services to events, weddings and funerals. Whether that be using our custom made dining cart for Christmas parties or private functions To our 25 seater tram, a flat top wagon or just having our horses at your event for atmosphere and cuddles. We always welcome the public to visit and experience our horses and equipment whether it be in their training, general care or breed but to also learn about historic farming machinery with demonstrations and even opportunities to experience for yourself.